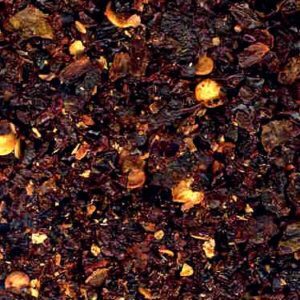 The Chile Guy supplies every type of chile you need, including the ancho chile, one of the most popular Mexican peppers. We offer whole dried pods, flakes and powders to suit your commercial applications. 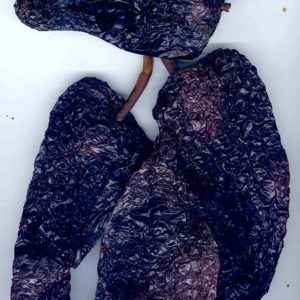 Ancho chiles are dried ripened poblano peppers. Poblano peppers are fresh, pre-ripe peppers, which is why they’re green. Anchos, on the other hand, are allowed to ripen on the plant, turning red and developing a sweetness to complement its mild to medium heat. 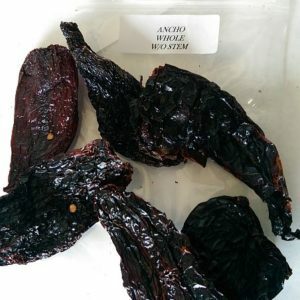 Ancho chiles are a staple for a wide variety of Southwestern and Mexican dishes, including enchilada sauces, salsas and molés. Ancho chiles range from 1,500 to 3,000 units on the Scoville Heat Scale. If these popular sizes do not meet your needs, please call us at 800.869.9218 or email us to get the bulk chile supplies you need. Ancho chiles are tried and true, but maybe you’d like to experiment with something new in your restaurant kitchen. The Chile Guy carries chiles from around the world with varying flavor and heat profiles. Contact us for recommendations for your application. Call 800.869.9218 to order your ancho chile products today!